Higher Shippen sleeps 6 very comfortably but will accommodate 8 to 10 Also available on bed & breakfast for groups on short breaks, breakfast is served in the farmhouse next door up to 9.15 am, by arrangement .All the rooms look out over lush green pastures often full of cattle or sheep, and have open, clear views towards Dartmoor National Park. 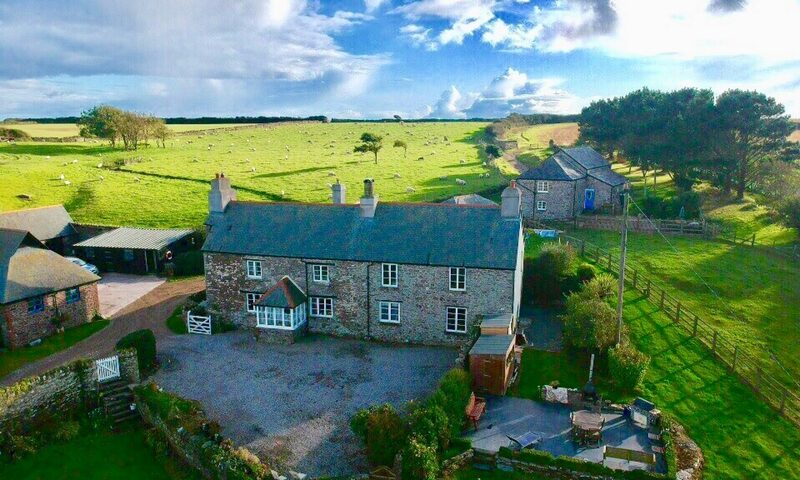 Once our family home converted from a barn in 1992 on our National Trust working farm, is now available on short breaks 3 & 4 nights or weekly Friday to Friday. We are happy to consider flexible dates. Please click here to view availability. Third bedroom 2 steps down into room with double bed and single bed, and second single available if required. Kitchen with Rayburn heats hot water, electric oven and Hob, Dishwasher, Fridge fully equipped, if you find you need something you only need to ask. Lounge with Wood burning stove heats radiators (October March 1st load wood included, extra charge thereafter) 2 sofas and 2 bucket leather chairs, Freeview TV and DVD player board games and children s DVDs. Utility room Separate toilet and sink, separate electric shower room, washing machine, small chest freezer, Microwave, Ironing board and iron. Main bedroom with king-size bed large windows looking over garden and fields. Large family bathroom, with roll-top bath, toilet and sink, shaver point above sink, radiator on all the time – sorted from Rayburn. 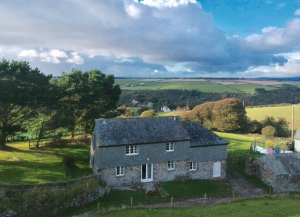 Second bedroom has two steps down, with a double bed and two single beds, low level (stair gate on window) window with views towards Dartmoor. Stair gate at the top of the stairs. Wooden garden furniture situated on Patio with views towards Dartmoor, extra chairs in the garden, Wendy house and sand pit.